To get the most out of your internet service, you need a fast connection combined with a large data plan. The problem is, living in the rural parts of Colorado can make finding a good connection a headache. DSL is too slow, and satellite has restrictive data limits. 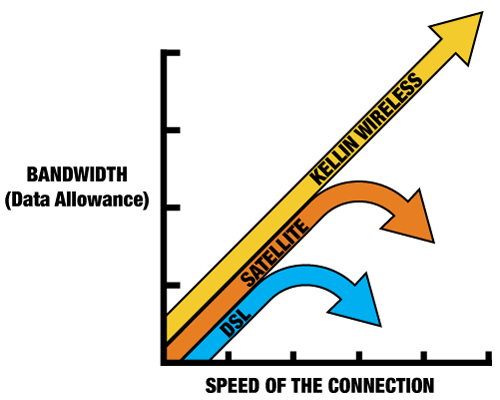 Your best option is wireless broadband with Kellin Communications. We provide the fastest speeds starting at 15mbps and a huge data allowance of over 300gb per month. End the hunt for a reliable connection, call us today! Working Everyday to Expand Our Network Coverage.